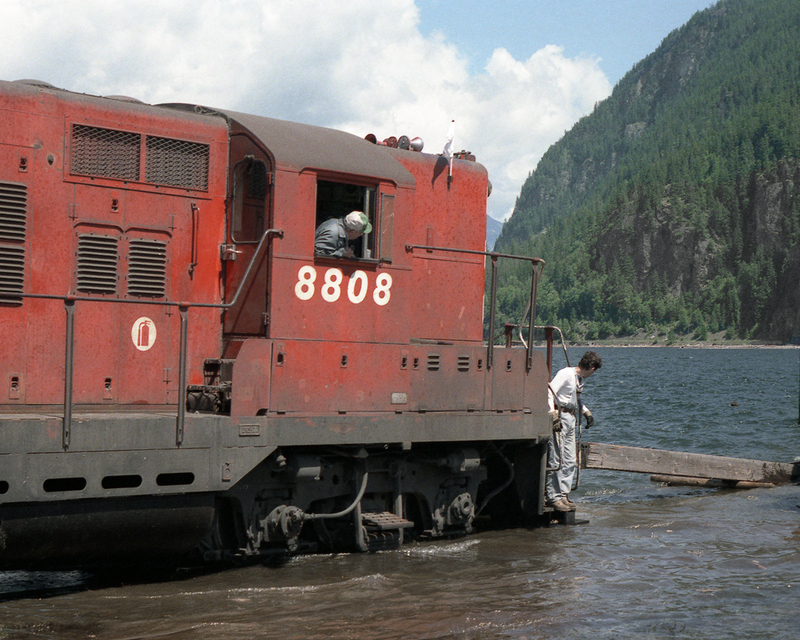 Railpictures.ca - Bill Hooper Photo: GP9 8808 adjusts the barge slip by poling prior to loading its train onto the “Berry Ferry” for the ride to Rosebery and the isolated Nakusp Branch | Railpictures.ca – Canadian Railway Photography – photographie ferroviaire Canadienne. You edged my photo out after a few years at #2! I have a warm spot for the ferry operations, especially those that supplied the isolated branchlines out west. Missed all of the ferry operations in Ontario too.. thanks for sharing! CP may have never owned a U-boat, but looks like they had at least one Cutter. Unique shot of a unique operation, Bill.